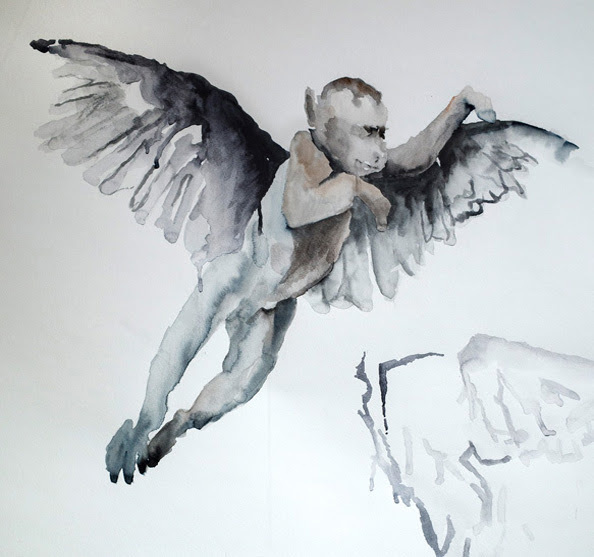 Susan Montgomery, Detail of Nocturnal Rambles: Fly My Pretties, 2016. 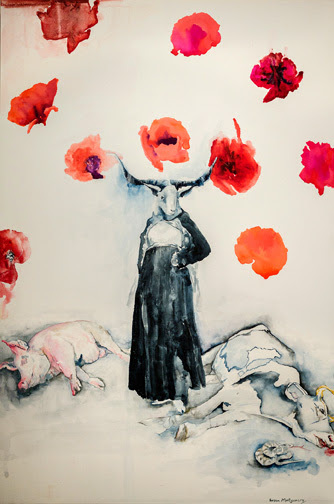 In her exhibition Mary Bliss Parsons: Accused Witch of Northampton, Susan Montgomery explores the confusing and contradictory rumors and accusations against Mary Bliss Parsons. The presentation of women in history, culture and our communal memory has always been a subject for Montgomery, who has worked with such figures in her art as Pope Joan, Marie Curie, The Radium Girls, Hester Prynne, the Daughters of Saint Crispin among other female heroes. Montgomery's selection of watercolor paintings are complemented by a sculpture installation and linocut print. 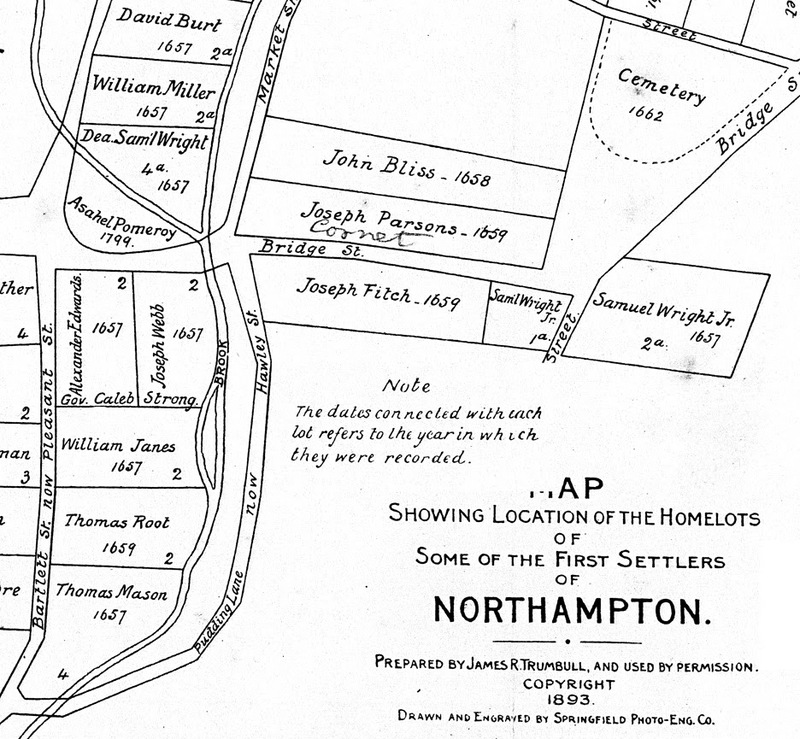 Interspersed in the exhibition is an anvil from the permanent collection and copies of historical documents recording accusations by early Northampton town settlers against Mary. The most meaningful historical connection to this exhibit is the land on which the museum itself sits: this was once the Parsons family estate. Her home, long razed, was a couple hundred yards from Montgomery's exhibition. 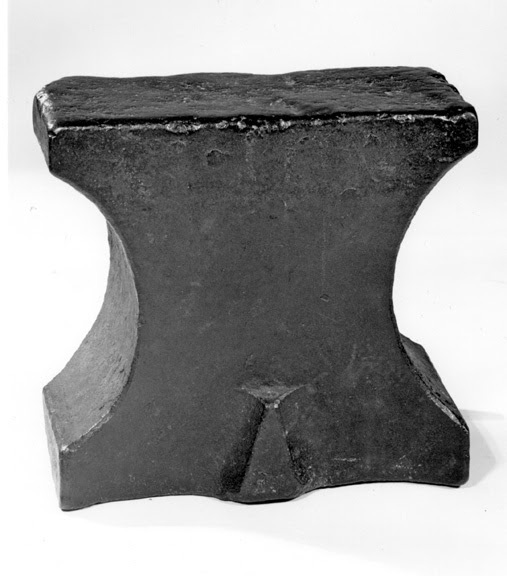 This anvil is believed to have been granted to Medad Pomeroy (1638-1716) by the town of Northampton beginning in 1660.